With Blue Ridge Mountain Kayaking you will choose from a gorgeous trip down the Toccoa River or a picturesque paddle on Lake Blue Ridge. Either trip you choose will offer some of the best mountain views and mountain fishing in Georgia. River kayaking offers your choice of a 1-2 hour or 3-4 hour trip. Either trip you choose will offer fantastic fishing, swimming, tranquil solitude and wonderful floral, mountain and pasture views along the way. 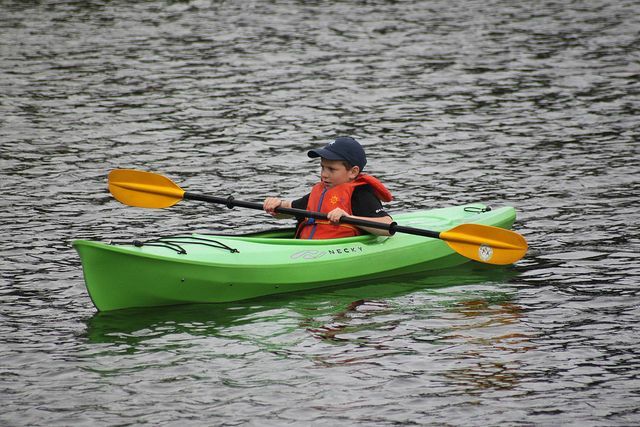 Lake kayaking offers a choice of single or tandem kayaks on a 3,300 acre lake that is surrounded by picture perfect coves and mountains. Fishing Lake Blue Ridge you will find Smallmouth Bass, Walleye and Bluegill. No matter which trip you choose, you can decide if you want to swim, fish, explore or just sit back and relax. 2 hour trip - $25.00 single/ $50.00 tandem. 4 hour trip - $50.00 single/ $100.00 tandem.